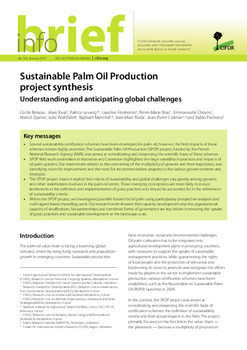 Supported by USAID, CIFOR’s research on oil palm spans the study of plantation development on deforestation and biodiversity impacts; local livelihoods and smallholder issues with a gender lens; private sector commitments and emerging governance arrangements for sustainable palm oil development; future scenarios; and much more. 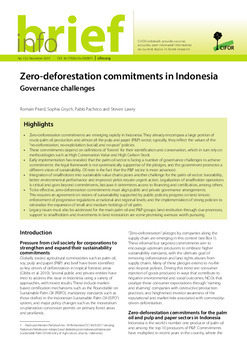 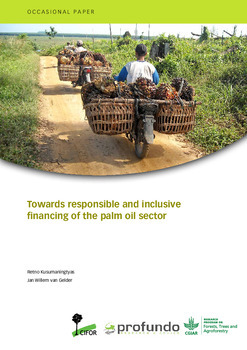 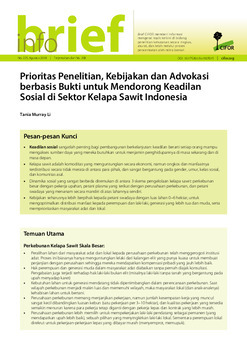 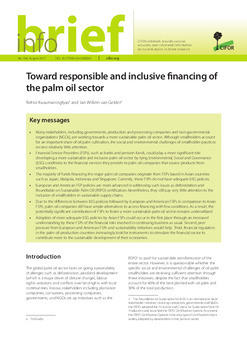 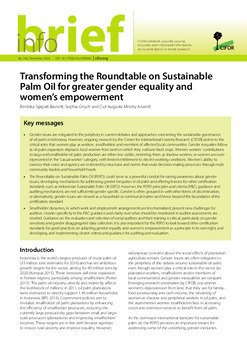 Our work aims at supporting the development of governance arrangements and investment options that align better the policies and actions of public agencies with the initiatives of private sector companies and civil society organizations in ways that contribute to improving the governance of palm oil value chains and oil palm landscapes, to build more inclusive value chains that support the upgrade of smallholder oil palm production systems with better uptake of sustainable practices, and to achieve more effective biodiversity conservation and reduced greenhouse gas emissions while accommodating the interests of multiple stakeholders. 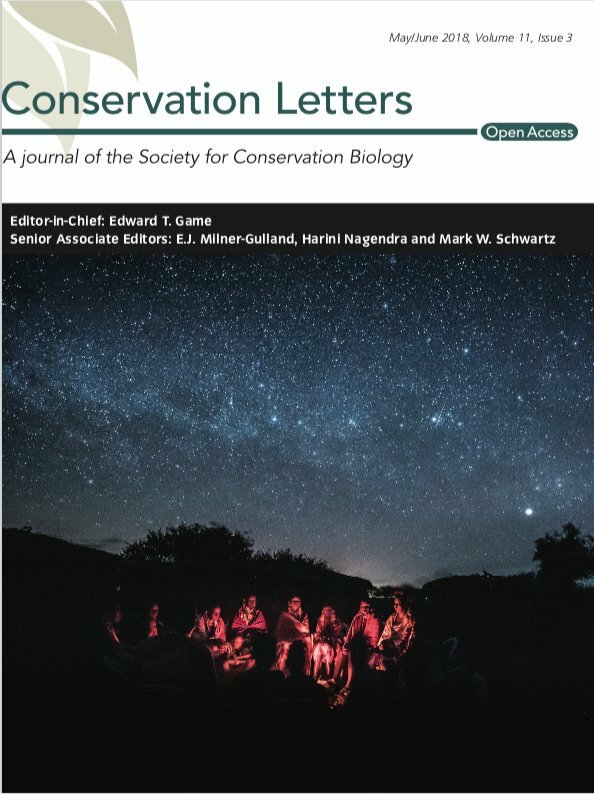 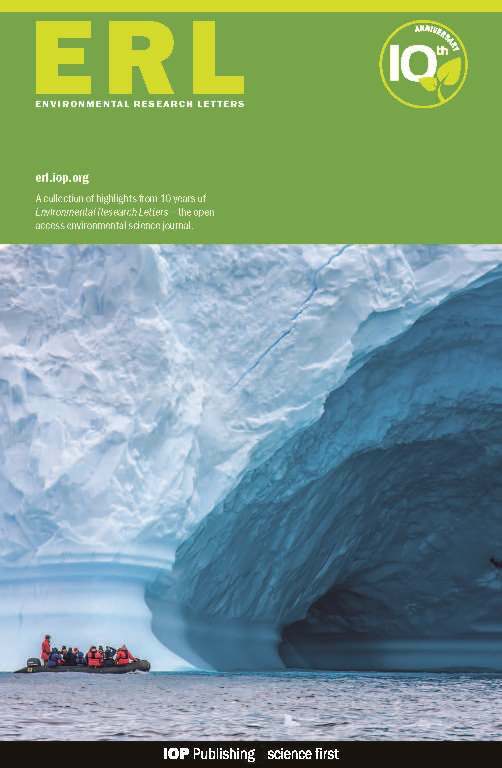 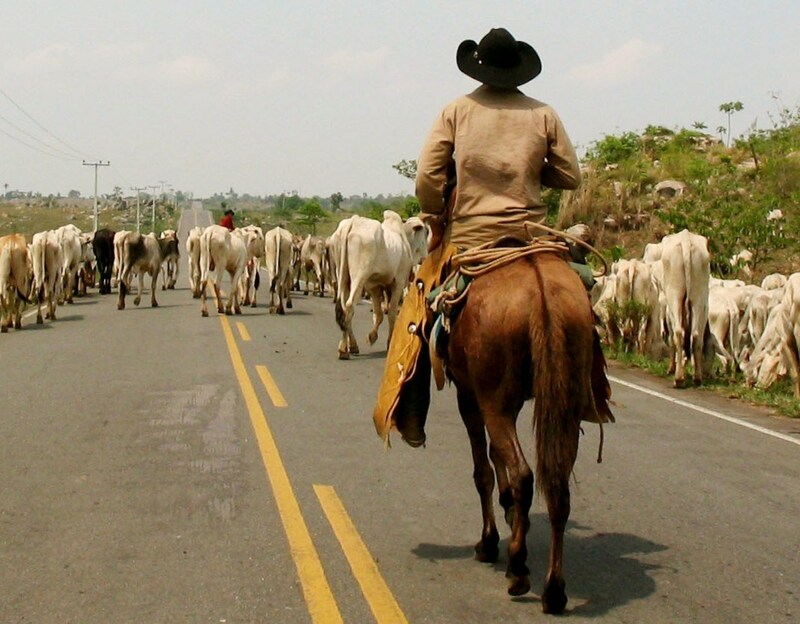 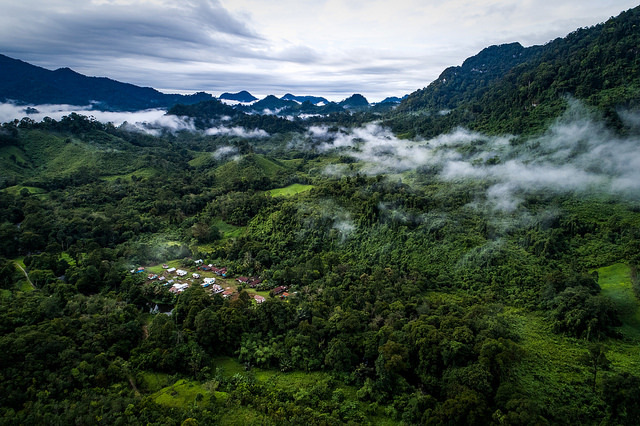 To this end, we combine scientific research with capacity development and stakeholder engagement that ranges from global sustainability processes to national and sub-national public and private initiatives. 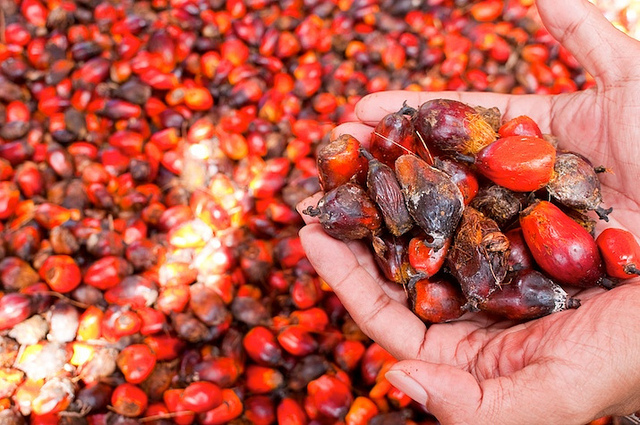 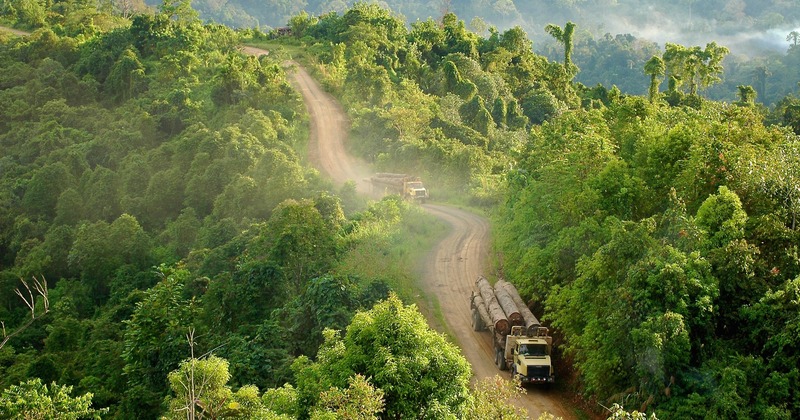 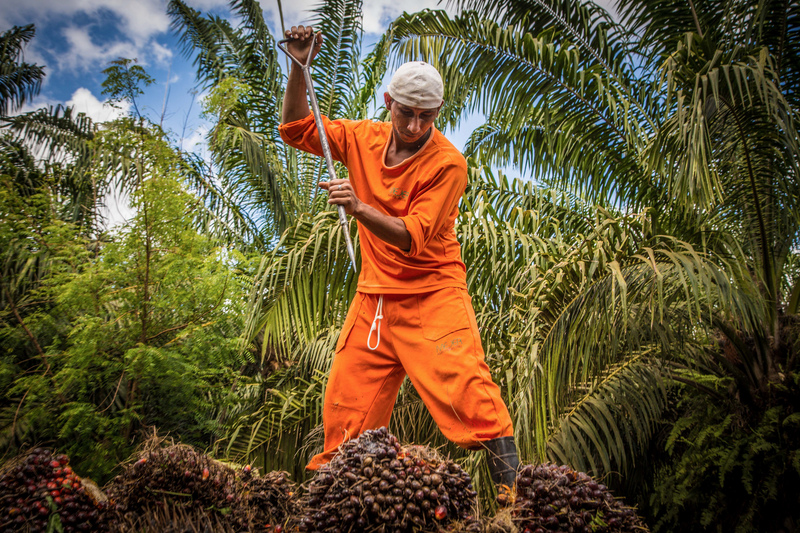 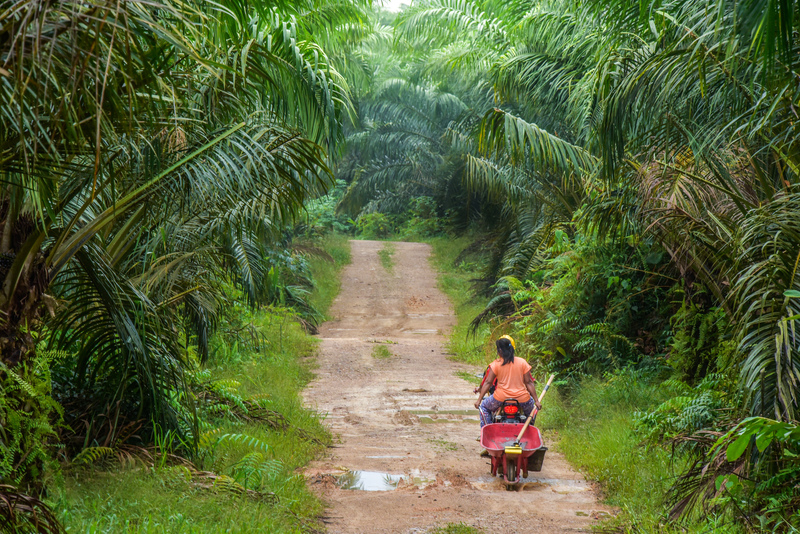 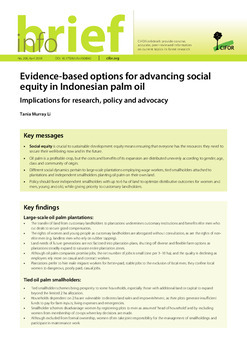 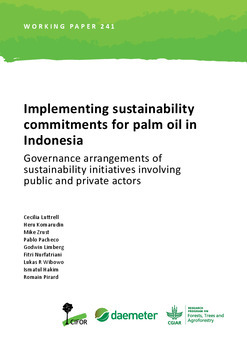 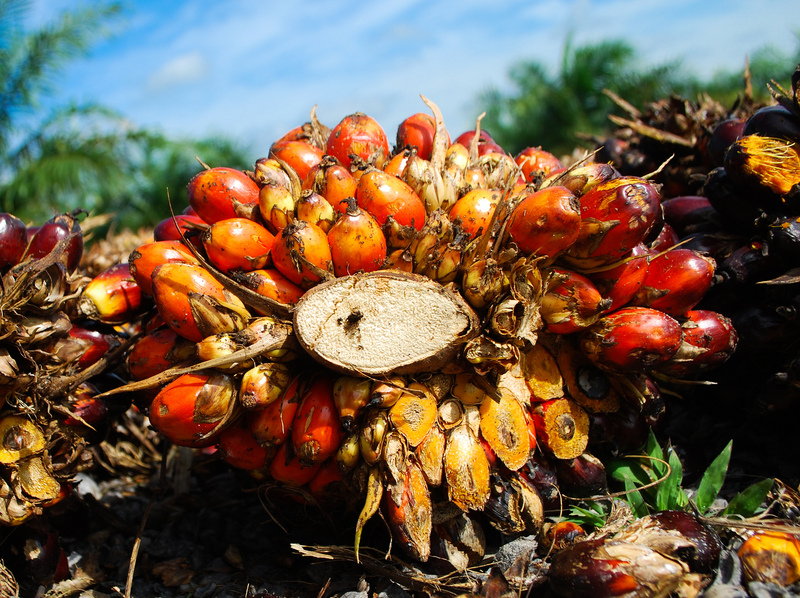 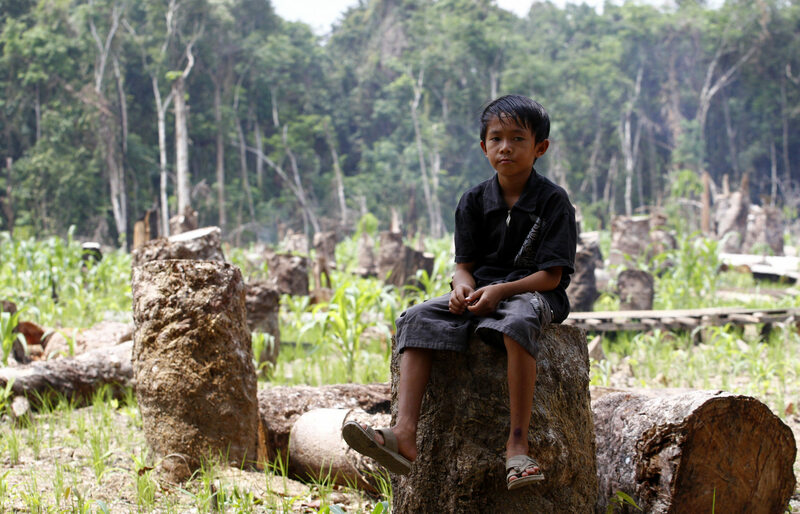 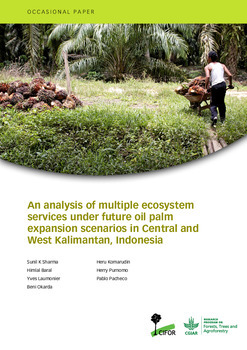 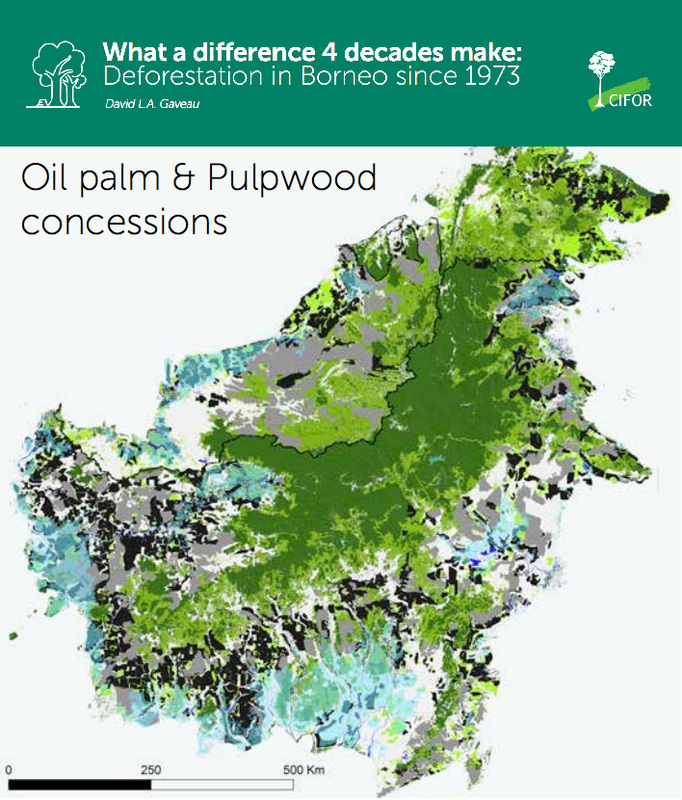 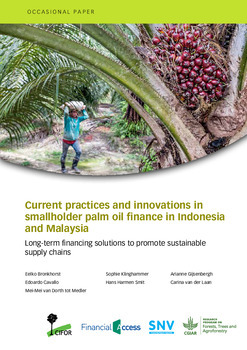 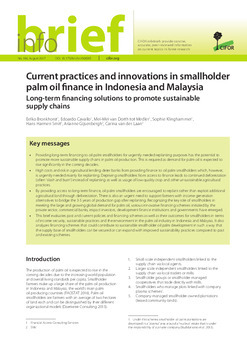 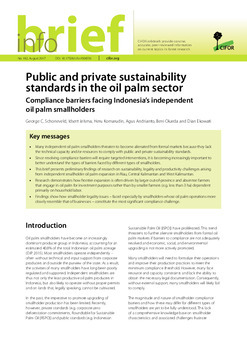 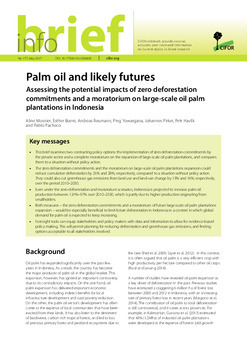 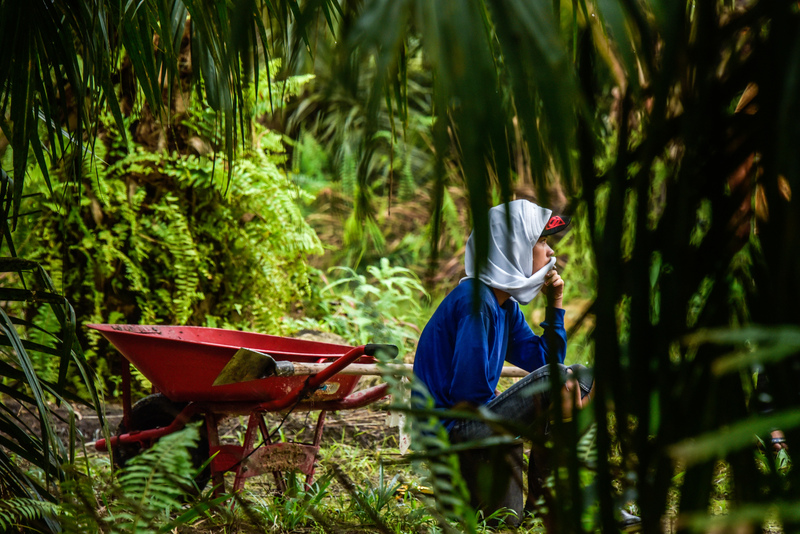 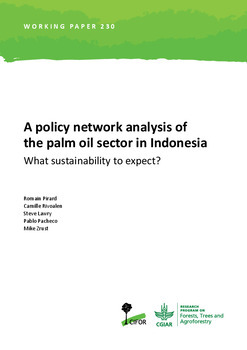 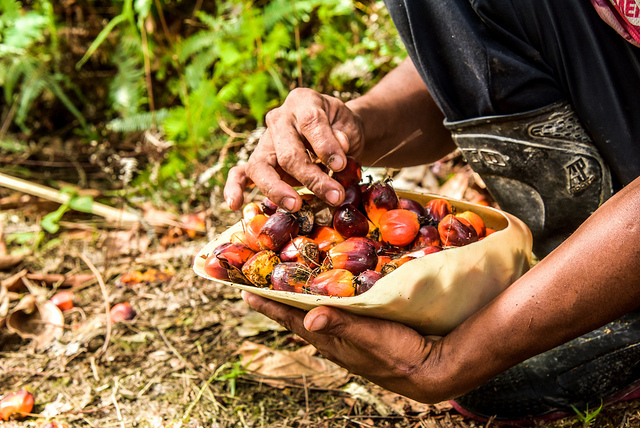 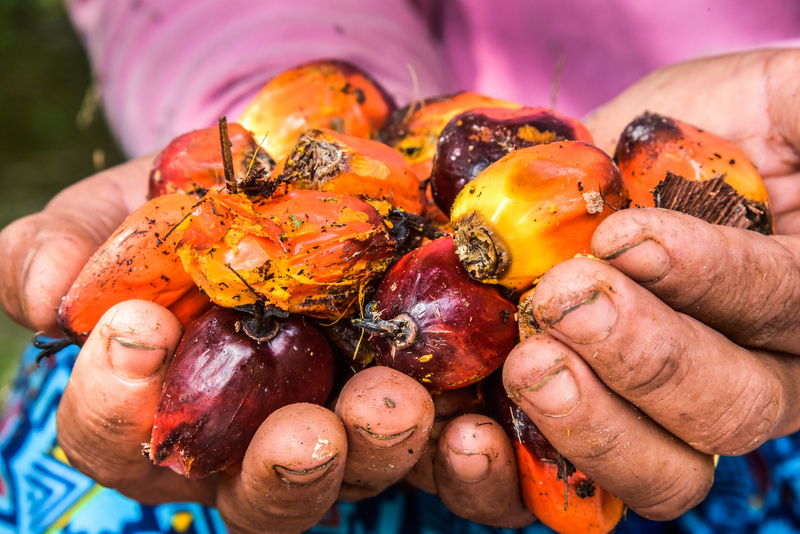 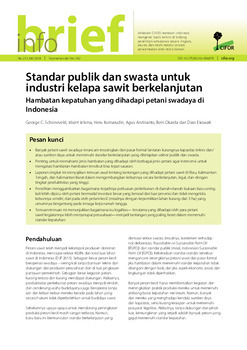 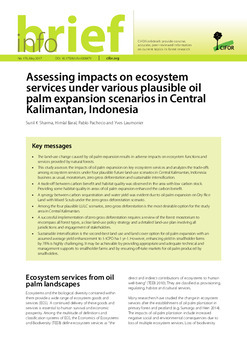 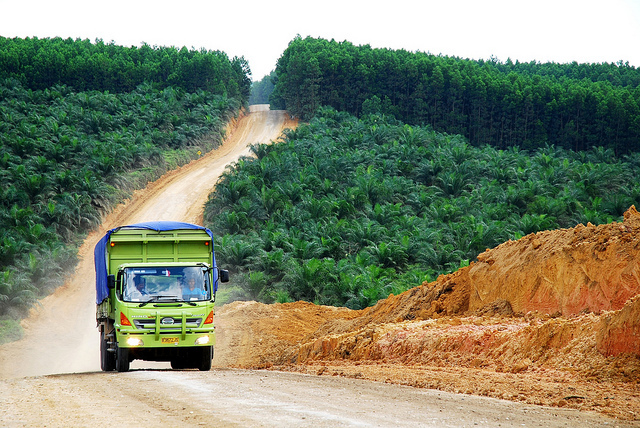 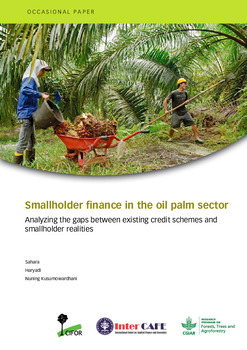 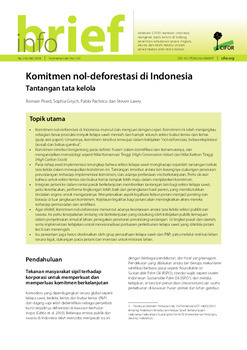 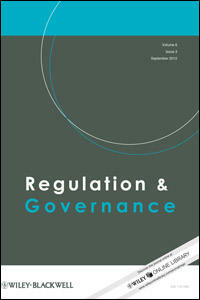 A policy network analysis of the palm oil sector in Indonesia: What sustainability to expect? 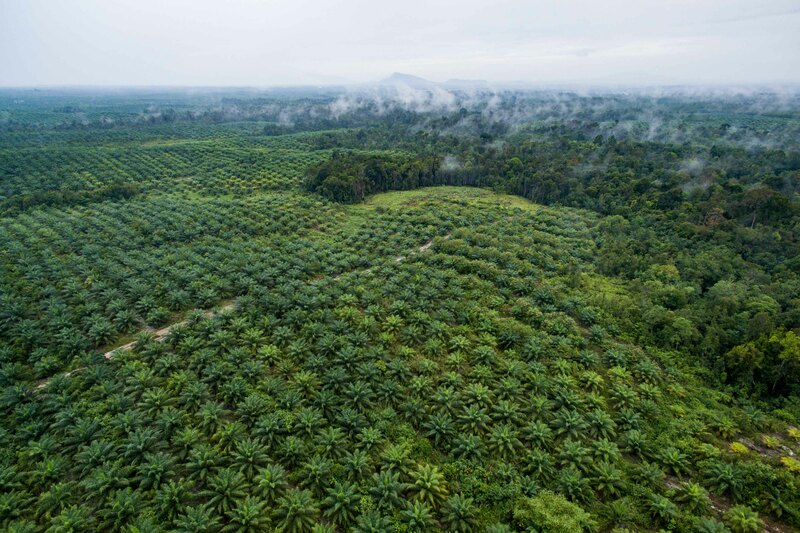 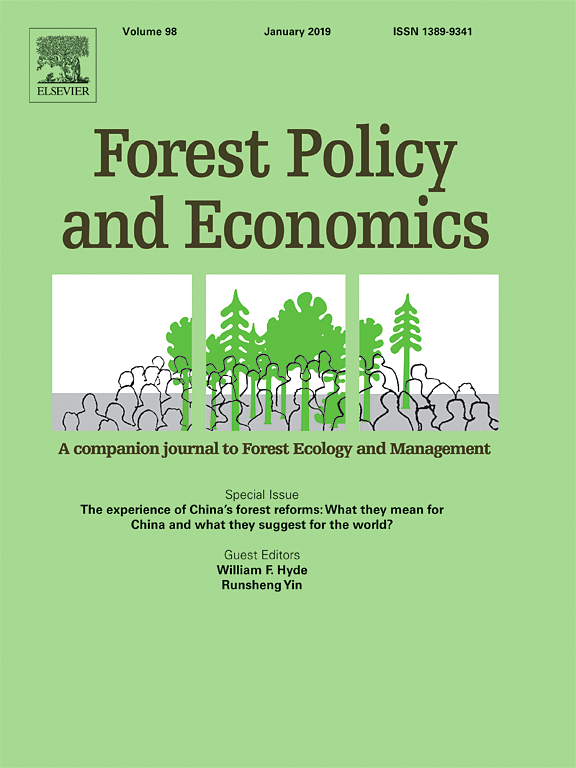 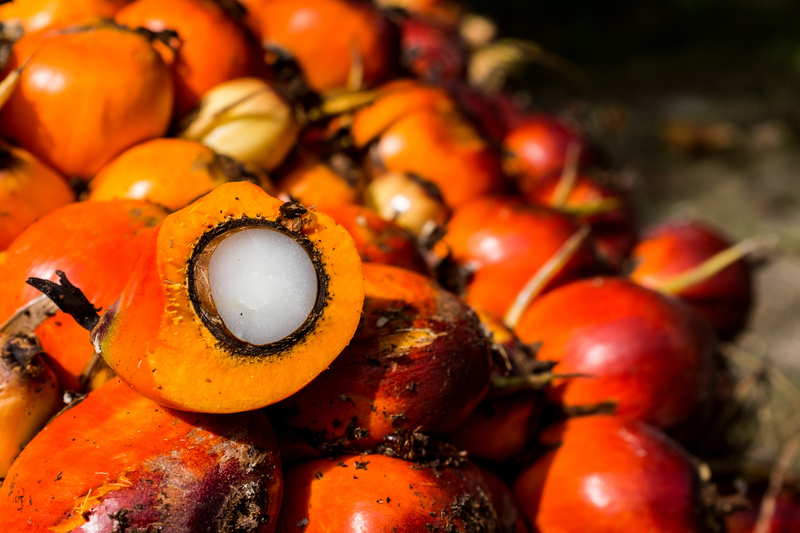 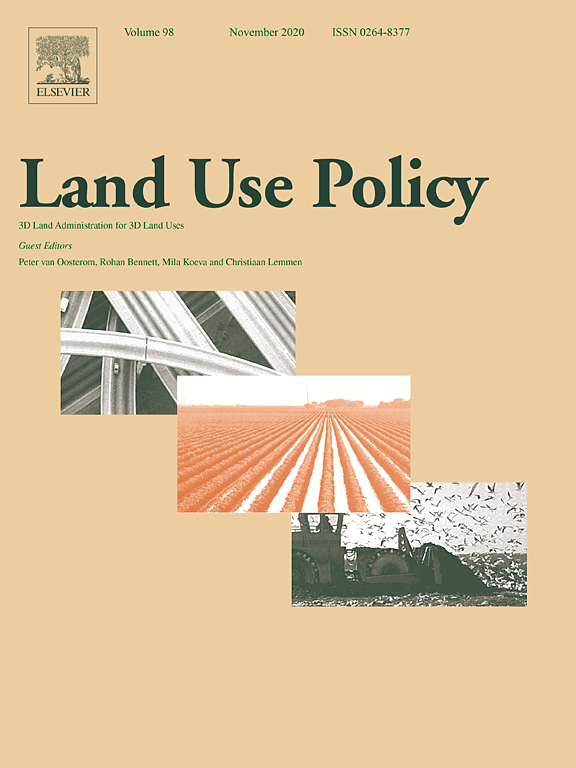 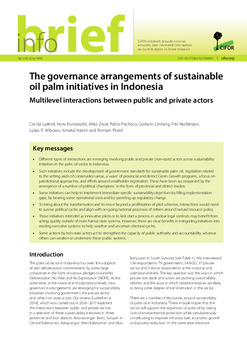 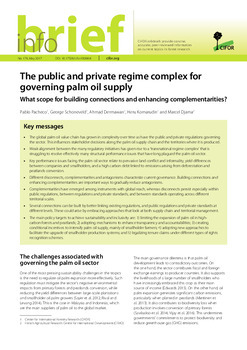 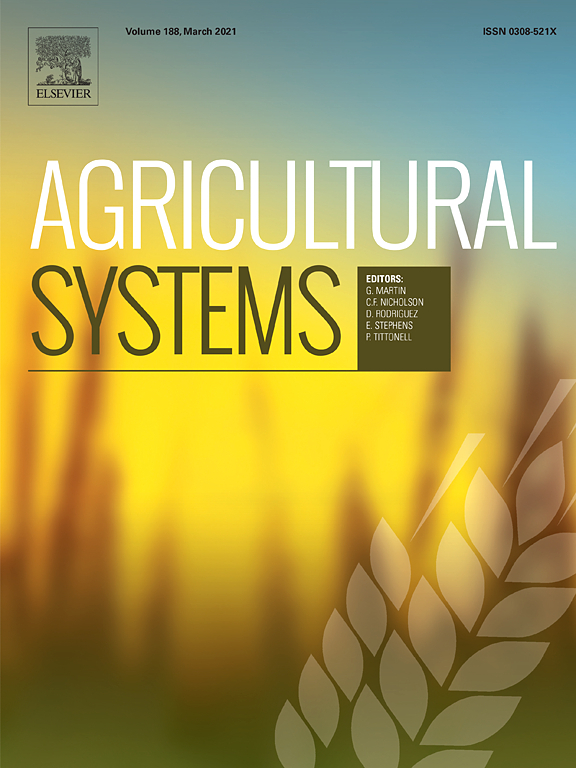 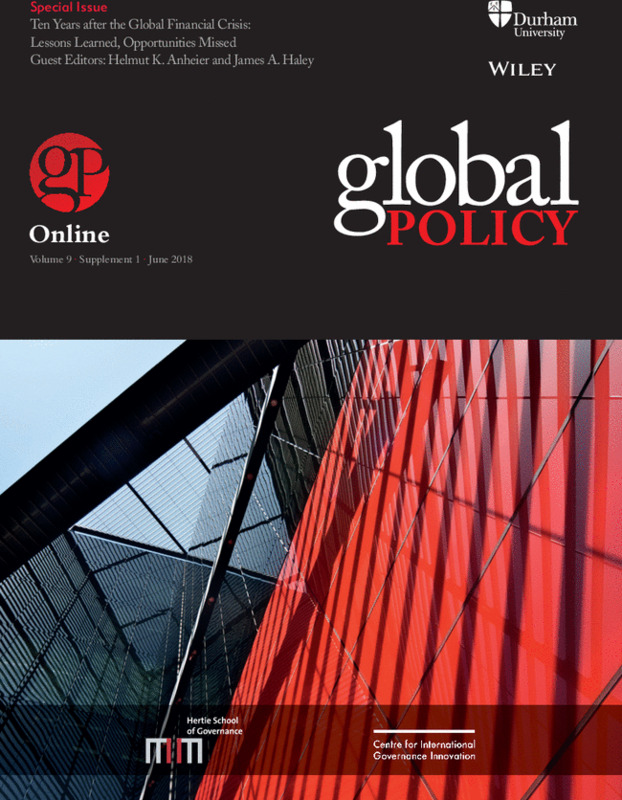 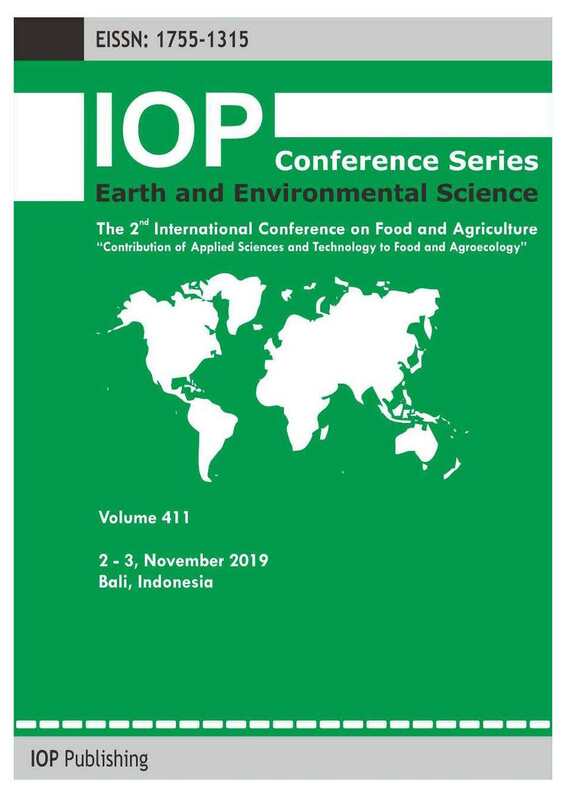 The public and private regime complex for governing palm oil supply: What scope for building connections and enhancing complementarities? 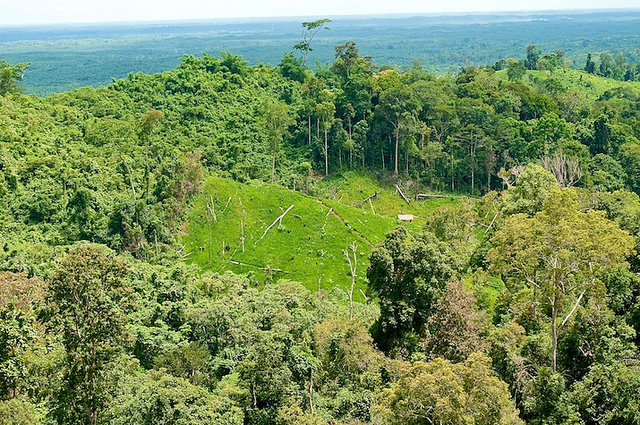 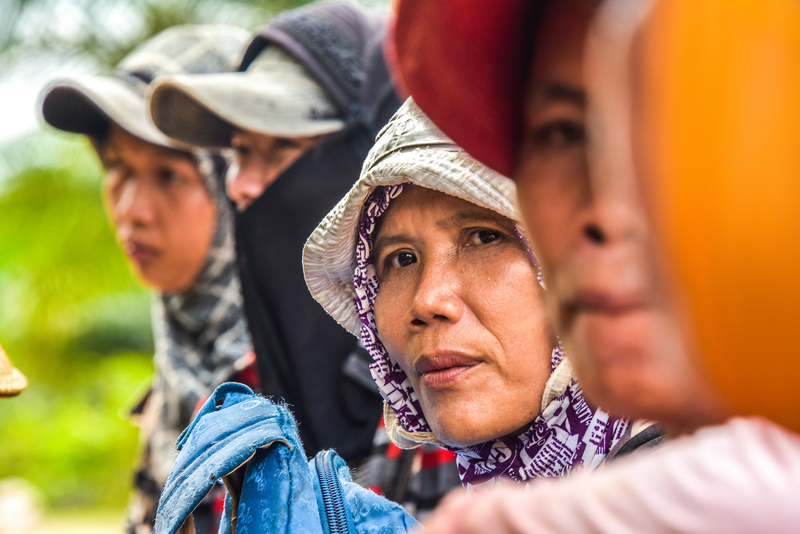 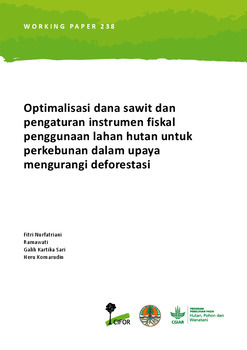 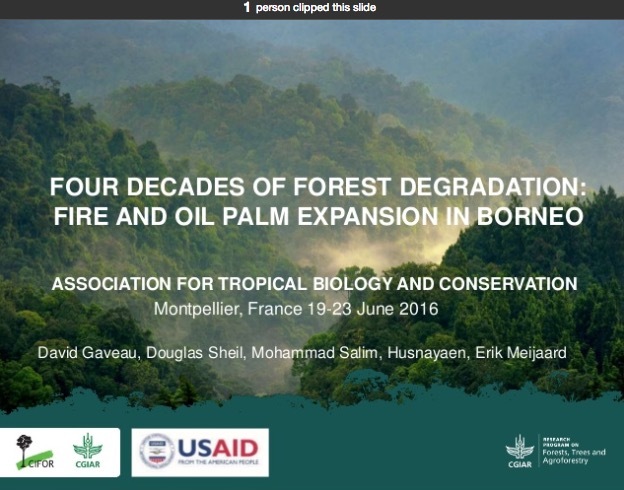 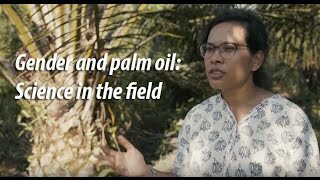 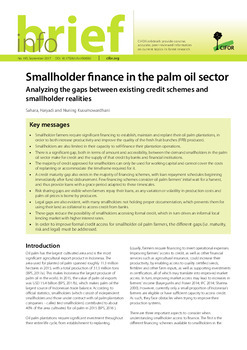 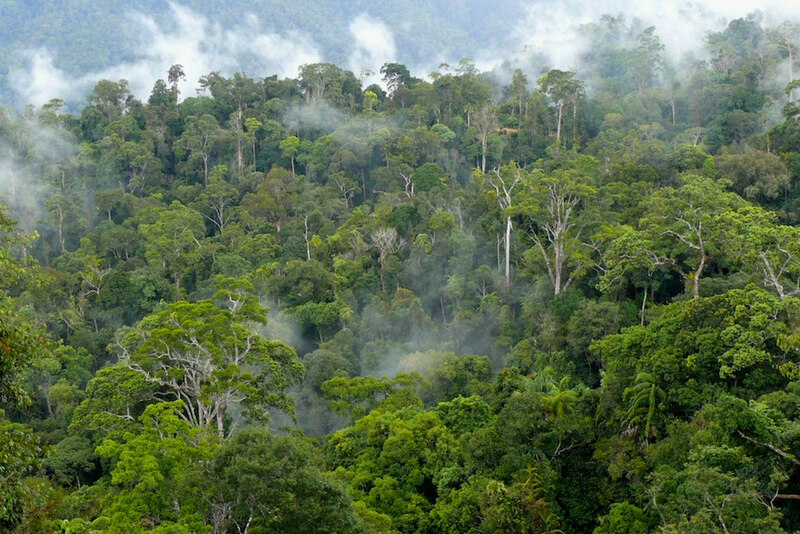 This research is supported by USAID funding for CIFOR’s Governing Oil Palm Landscapes for Sustainability (GOLS) project, and this work is partly funded by the United Kingdom’s Department for International Development KNOWFOR Program Grant to CIFOR. 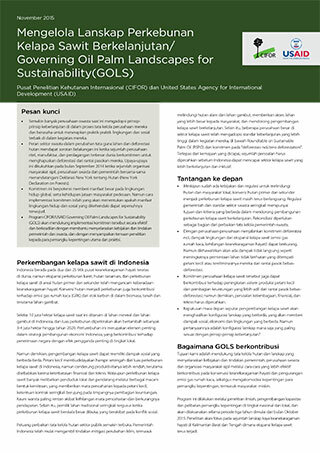 This research is part of the CGIAR Research Program on Forests, Trees and Agroforestry (FTA), which is funded by the CGIAR Fund Donors.